One of the College of Media and Entertainment’s MFA students has received an outstanding honor. Natasha Branch, a second year in the college’s Master in Fine Arts Recording Arts and Technologies, has been named a 2016 Bruce Swedien Scholar. The very competitive scholarship recognizes students in the recording field on the basis of demonstrated talent, achievements, goals and recommendations. 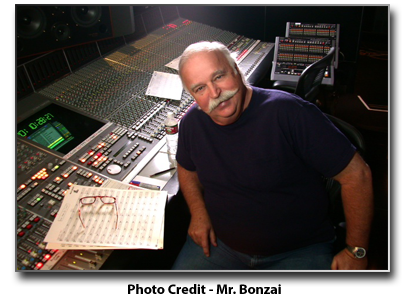 The scholarship was initiated in 2014 in honor of one and only producer/engineer Bruce Swedien, whose career in the recording industry spans more than 60 years. This scholarship is funded by Swedien friends and colleagues and is awarded through the Audio Engineering Society Educational Foundation. It is a way to say “thank you” for his many gifts and to help aid young recording engineers who believe in putting the “Music First!” which is Bruce’s mantra. Branch is a producer, sound engineer and mixer based in the Nashville area and has provided services in live and studio productions since 2008. 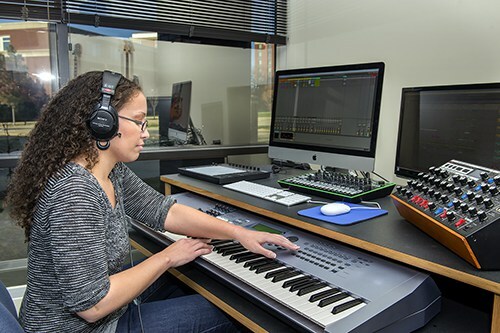 She has a Bachelor of Music in Composition from Cameron University and is a member of the Audio Engineering Society, ASCAP and Pi Kappa Lambda. The AES Educational Foundation was established in 1984 to encourage talented students to enter the profession of audio engineering. To read more about the Swedien scholarship, please click here.